It has been purchased by Sava Estates, who recently submitted planning permis- sion to see the large building transformed into separate units. Blueprints show proposals for a separate shop unit, as well as a restaurant, complete with bar and takeaway, over- looking Main Street at the front of the store. Behind the restaurant will be a gym, featuring male and female changing rooms and a range of equipment. And at the rear of the property a dental practice is mooted. It could have several practice rooms, a reception area, office and store. Speaking this week, Don Bennett, of agents Bennett Developments and Consulting, con rmed that Sava had suc- cessfully purchased the site. He explained that Sava them- selves would not be operating the businesses described in the planning permission but would instead lease out the property to interested parties. The Factory Shop closed last year, after its parent company downsized their operations. 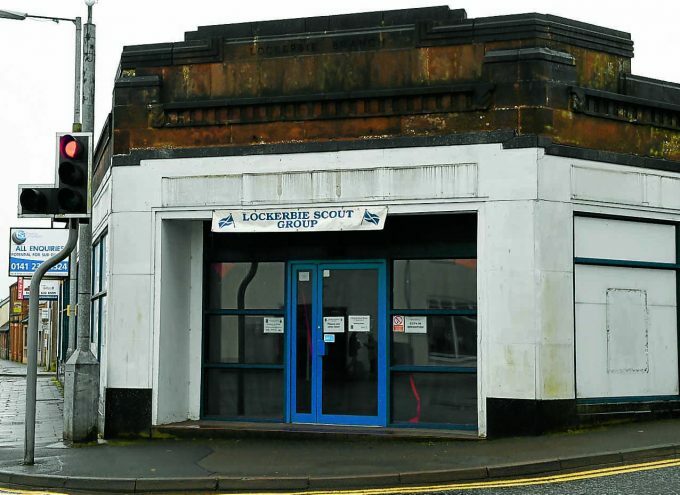 And for the last few months it has been home to Lockerbie Scout Group 9th Dum- friesshire. The group, who are the region’s biggest Scout troop, were dealt a blow early last year when their Caledonian Place base was deemed un t for use. They launched a bid to raise £100,000 to help buy a new home and in the meantime, have been temporarily using the store site for meetings. Following the news of the building’s sale, this news- paper contacted the troop, but they declined to comment on the matter or their plans.